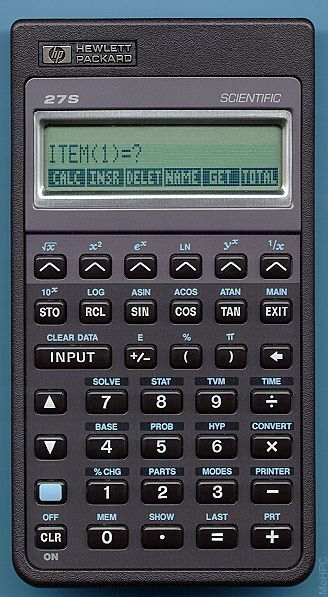 The HP-27S was another "do-everything" calculator. 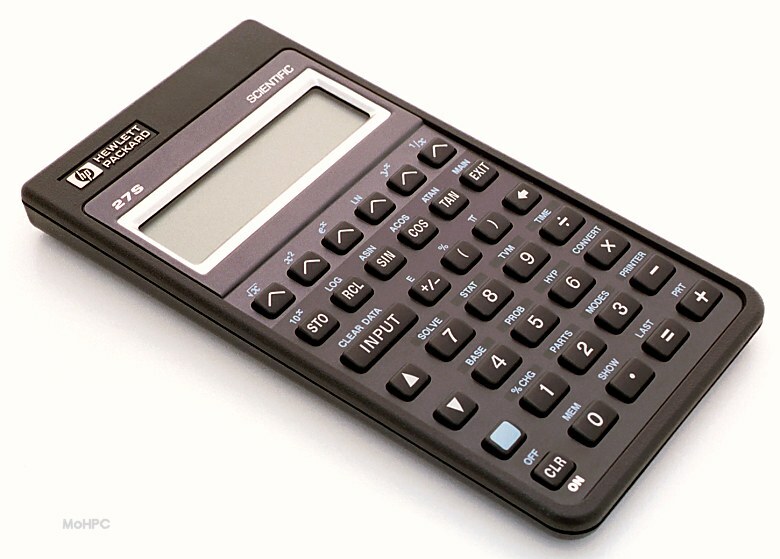 While it was called a "Scientific Calculator" it also had statistics, Time Value of Money with loans, savings and amortization schedules, plus date arithmetic, time and appointments. 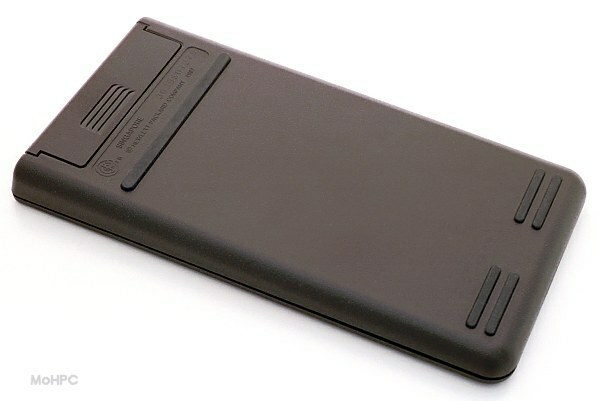 Like the first "do-everything" model, the HP-27, the HP-27S didn't do programming. The calculator used a rather nice form of algebraic logic in which pending operations were left in the display. For example if the user pressed 1+2*3, the calculator would show that expression in display. On pressing +6, the calculator would evaluate the part that it now could and display 7+6. Raising numbers to powers used the syntax used in many computer languages like 5^6. Like the majority of algebraic calculators, however, most unary functions were postfix (RPN) so you still typed 5 SIN not SIN(5). Basic scientific functions including hyperbolic trig functions. A two-line display which either showed two levels of the history stack or one level and a menu. A beeper which sounded on appointments and optionally on errors. Ten numeric registers plus application and equation variables. 6,912 Bytes of user memory.